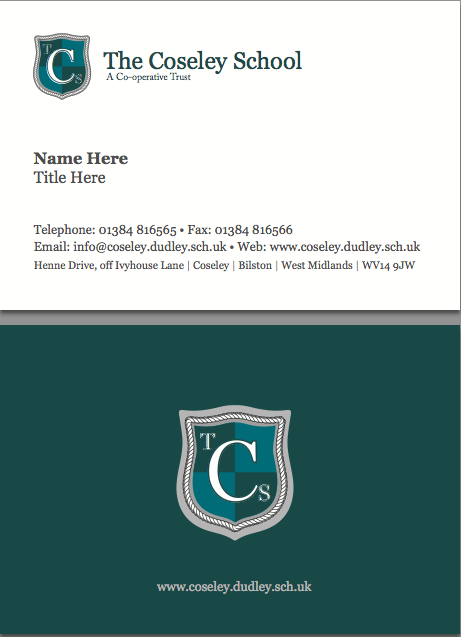 In April we where tasked with creating a new logo and brand for The Coseley School in Bilston Birmingham, a month later and we had created a whole new brand identity for the school which includes there new School Badge, letter headed paper, business cards and compliment slips. 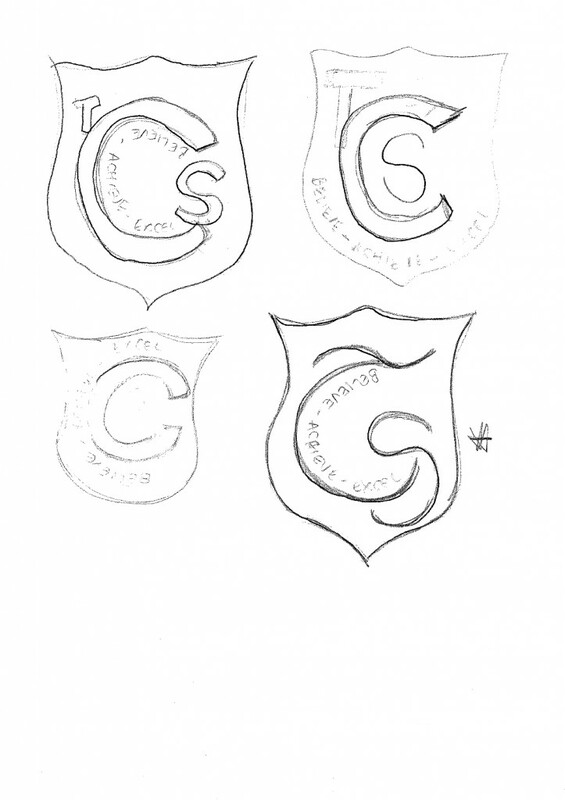 The first task was to create their new school badge, they supplied us with some sample drawings and ideas of how they wanted the new badge to look along with a new colour scheme. The first image above is what we received through the post to give us an idea of what they where looking for. A telephone later to go over it and it was time to begin sketching out some digital drafts in Vector format, we needed to provide this logo in vector format because the logo needed to be stitched onto school clothing and printed at high resolution for use on the stationary. Initially they wanted colour scheme to incorporate the colours yellow, black and green. The second image is the first draft of the logos that I sent to the client to review. They came back and after much consideration they preferred the first logo but weren’t to sure on the colour scheme, they also asked whether or not it was possible for me to add a rope effect around the logos to give them an idea of what it would look like. The new colour scheme ideas where now blue/green, silver and white, so again I went away with this information and put pen to paper or in this case hand to mouse ! I ended up sending a large variety of designs along with different variations of colours from the first logos that I sent, below is what I then sent over to our client. They where really happy with the logo on the third row, first from the right. This is the logo that was now set to be the final product, but the staff at the school wanted to give the pupils a chance to vote so I sent them the below image which had 3 different variations. Number 1 was the overall favourite and once I was 100% happy with the logo I set out some brand guidelines for them to adhere to which included the CMYK colours that where used and the different fonts. 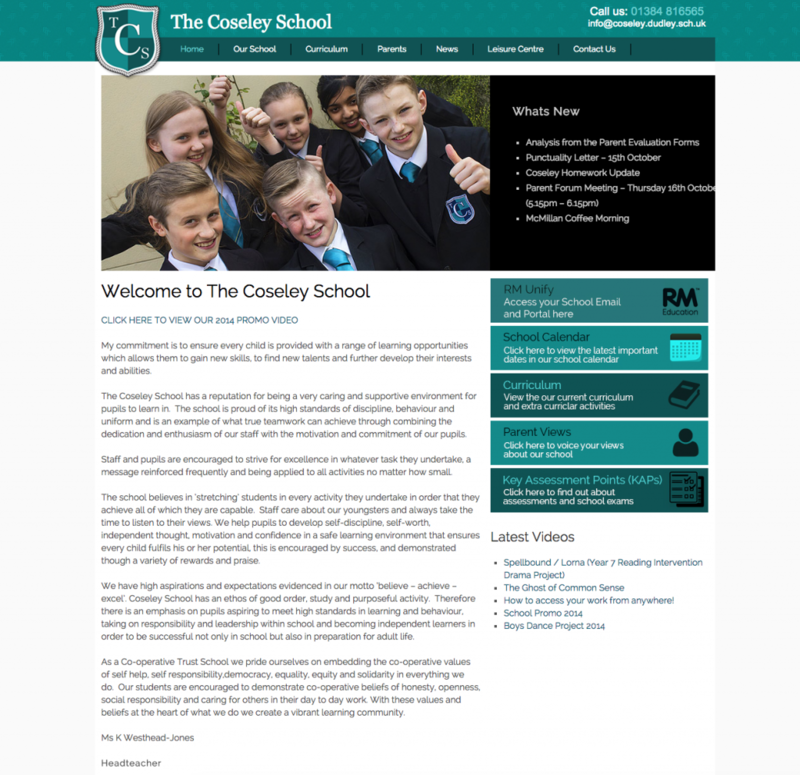 Now all the stationary was complete in time for the new school year it was time to unveil the new website. You can check out the website by clicking this link. If you are looking for a web solution for your school or business then please feel free to get in touch with us. 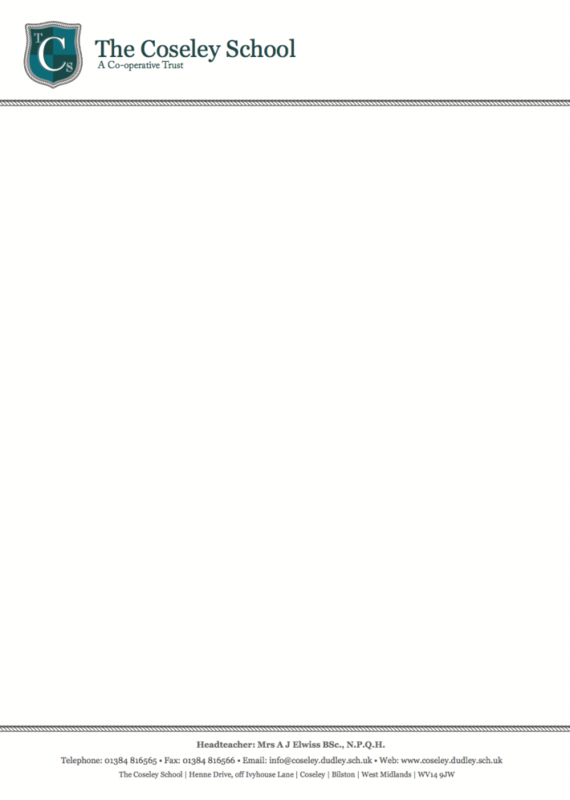 Our telephone number is 01543 675474 or you can fill out our contact form by clicking here.